Ashleigh Nicole Stickfort, 21, of Rineyville, died Saturday, January 19, 2019 at the University of Louisville Hospital. She was a native of Rineyville, graduated from North Hardin High School, and was a student at Elizabethtown Community and Technical College. 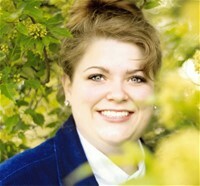 She was an associate at Hallmark, loved 4-H and FFA. She was an avid UK Fan and barbie doll collector. She was preceded in death by her grandfather, Jerry St. John. She is survived by her parents, Mark and Melinda "Pug" St. John Stickfort; brother, Devin Stickfort; sister, Casey Stickfort; grandparents, Betty St. John, and Donald and Carolyn Stickfort; special aunt and uncle, Deliana and Tim Yates, and cousin, Nate Yates; great aunt and uncle, Carolyn and Klaus Wood; and several other aunts, uncles, and cousins. A memorial service will be at 5 p.m. Friday at Brown Funeral Home with Bro. Owen Moody officiating. Visitation will begin at 2 p.m. Friday at the funeral home. Expressions of sympathy may take the form of donations to the Leukemia and Lymphoma Society in her honor. Condolences may be expressed online at www.brownfuneral.com.